Meet outside Five Bells Pub at about 5.30pm for carols with children from the school, then on to church for mulled wine, mince pies and hot chocolate, and some activities for the children. We will also need a few volunteers to help serve the pies and drinks, so if you can spare any time from between 5pm and about 8pm, please let Marion know and she will add your name to the rota. We are holding a Community Carol Sing-In on Friday December 14th. We do not have a firm time yet, but we plan to meet up with the children from Seal School at around 5pm after their School Christmas Fair. We will meet outside the 5 Bells and sing in the village for probably about half an hour or so, then on to the church for mulled wine, hot chocolate and mince pies. We hope many of you will be able to join us, and please watch out for firmer timings over the next couple of weeks. 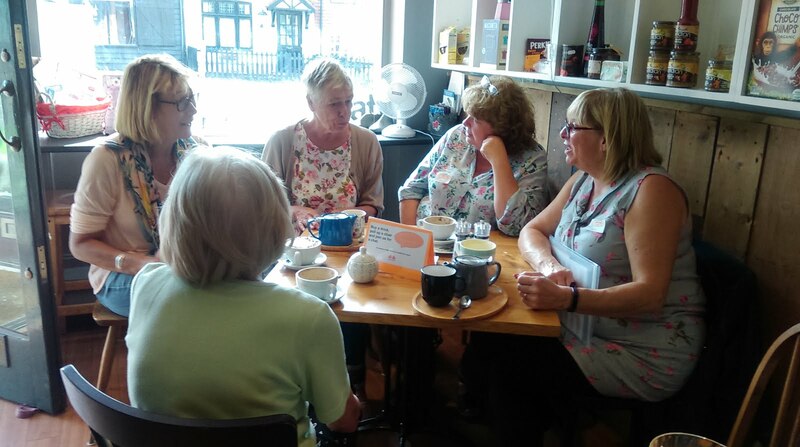 In January and February, we intend to organise some Know Your Neighbour meetings in various venues and different times to enable as many people to come along as possible. The idea behind these meetings is for people in this community to get to know each other better, and to remind ourselves of what is going on in the village. If you would be interested in helping to facilitate any of these meetings (you won't be alone!) please e mail Marion and let her know. Equally, if you would like to come along and represent a local organisation and bring along any information, please just let Marion know. 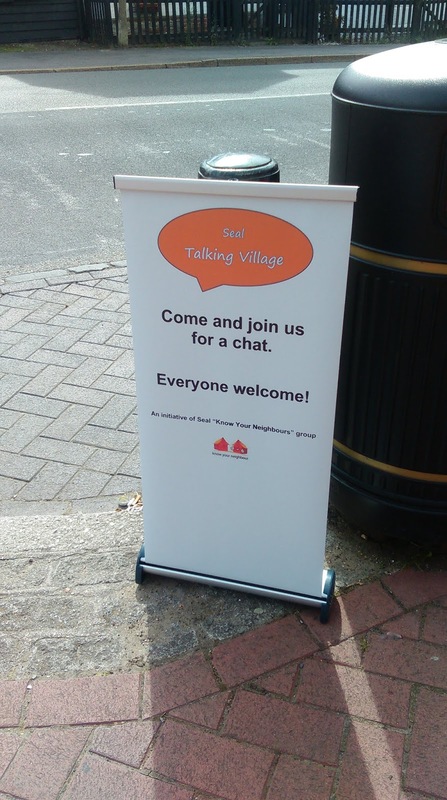 Finally, our Village Volunteers project is very close to being ready to roll out.....Watch this space! Thank You All for your support with Seal Know Your Neighbours! A group of local residents has organised a petition asking for measures to be taken to make the stretch of road between Seal and Kemsing safer for motorist, pedestrians, cyclists and horse riders. Reduce the speed limit from 60mph to 40mph. Create a “priority to oncoming traffic layout at the Childsbridge Lane Railway Bridge. Erect barriers to protect a pedestrian walkway on the southbound side of the road to make the crossing safe for non-vehicular road users. If you would like to sign the petition you can find it online here. The organisers of the petition are also asking for any experiences you have of problems on this stretch of roads. Any stories they can gather to support their case will help, so if you have ever had a near miss (or an actual accident) on Childsbridge Lane please let them know. You can email on reducespeed.childsbridgelane@gmail.com . Just a reminder (as if you need one) that the torch will be coming through the village on Friday 20th July at around 12.10pm. 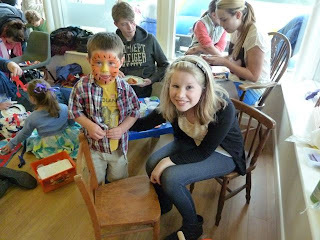 Many thanks to those of you who have offered cakes, and/or their time on the day - this is much appreciated. 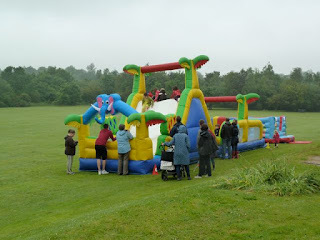 I just need to let you all know though, that there will be no vehicular access to the recreation ground on that day at all, so if you cannot bring your cakes on foot by about 11.30am at the latest, please give me a call on 01732 763727, and I will arrange collection, or you can drop them off at 20 High Street on the evening of 19th. For those of you who have offered help setting up, we will be arriving at the Pavillion at 11am on the day, and will start serving teas and cakes after the torch has gone through the village, so that we can all see this taking place! We are still needing more offers of help to serve between 12.10(ish) and 1.30 please. 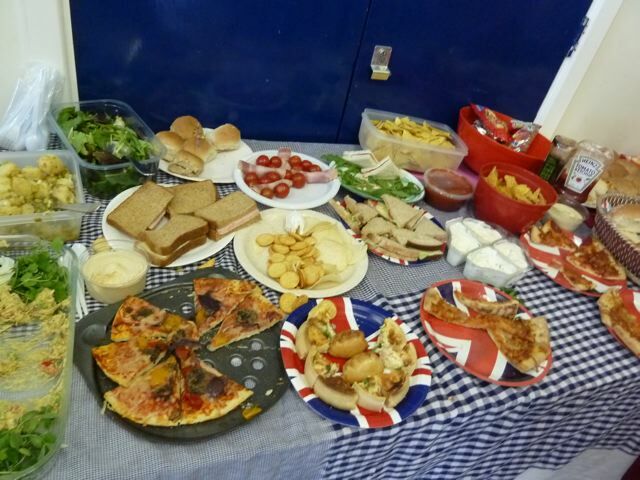 We would also be grateful of more offers of cake or traybakes please. Many Thanks as always for supporting Seal Know Your Neighbours! 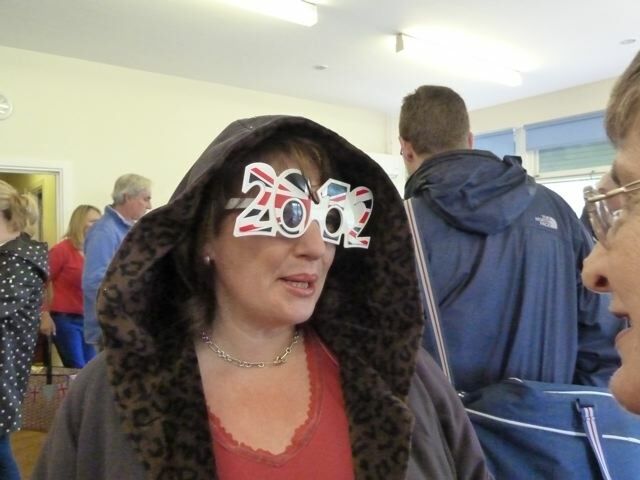 As you will all be aware, the Olympic Torch will be coming through Seal on Friday 20th July at approxomately 12.10pm. The Parish Council have organised a celebration of this event on the recreation ground for all the local children, residents and visitors. 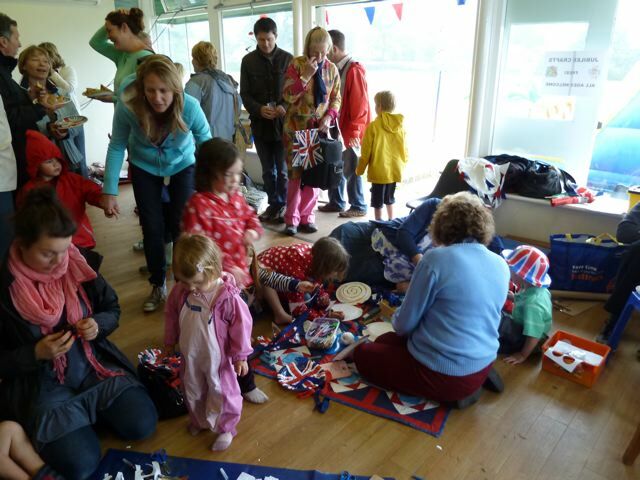 The Know Your Neighbours Group will be selling teas, coffees and cakes from the pavillion, and we will be needing volunteers to come forward to help with the setting up, serving and making refreshments, and clearing away at the end of the afternoon. 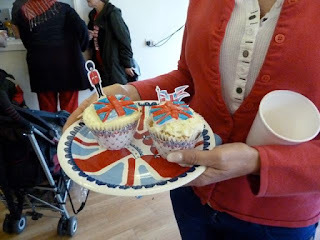 If you can offer any help with making cakes, or any of the above, please could you e mail me to say what you can do. To make sure we have sufficient cakes, if you could let me know what you would be prepared to donate, this would be a great help please. Nicky Harvey and I will be happy to take any of your donated produce on Thursday 19th. Also, if you could say what sort of time you could help between 11am and 4pm, this would help us to set up a rota. This will be a truly historic moment for Seal, and it would be great for as many of you as possible to be part of this afternoon. I look forward to hearing from you, and many thanks as always for your support for Seal KYN. 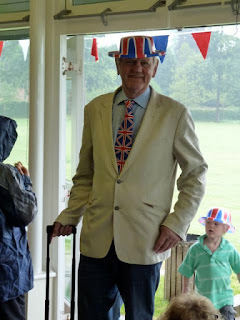 Many thanks should go to those who laboured to bring this village celebration about - Nicky Harvey and Marion Gilchrist in particular worked long and hard to bring it together, and many others helped on the day to put marquees up, stock and serve beer, tea and coffee etc. Many people commented on the lovely atmosphere, and there were quite a few who had never been to anything in Seal before, and were bowled over by the warmth of welcome and the fun of the day. Photos below are from Nicky Harvey and Jill and Katy Myers - if anyone has any more they'd like to share, please send them along! Well done to our team of face painters! Very good work, girls! "Bring and share" always results in a mountain of food! Craft activities - things being glued to other things (and people). If you can print off and display a poster somewhere, please do. Setting up the beer tent and pavilion for refreshments from 11am – 12.30. People to man the refreshments from 12.30 – 4pm (in half hour shifts). People to assist Anne and Nicky with the childrens’ craft activities (in half hour shifts). Clearing away at the end. Clearly, the more volunteers we have, the less time people will have to spend away from their families and friends, and should be able to enjoy the day themselves as well as everybody else, so your contribution of time will be greatly appreciated. If you can spare a bit of time on the day, please e mail me and I will add you to the list. The Know Your Neighbours group are planning a Big Lunch to celebrate the Queen’s Diamond Jubilee. This will take place on Seal Recreation ground on Sunday June 3rd from 12 noon. It will be a “bring and share” picnic lunch, with a beer tent for liquid refreshments, tea and coffee in the pavilion, and activities for children, rather like the very successful Royal Wedding street party. We will need help nearer the time with some of the practicalities, though, so please sign the list in church if you are prepared to help, or let us know by email. The success of the event will be entirely dependent on the people that turn up to it, (though good weather would help…) so please put it in your diaries now, and consider whether you can lend a hand! Please contact Nicky Harvey (01732 457118) for more details. On Saturday February 11that 7pm, Mark Anstis will be holding a quiz night in aid of Help The Heros. Please try and support this. The cost is £5 per head, to include a Ploughmans’ Supper. There will also be a great raffle. 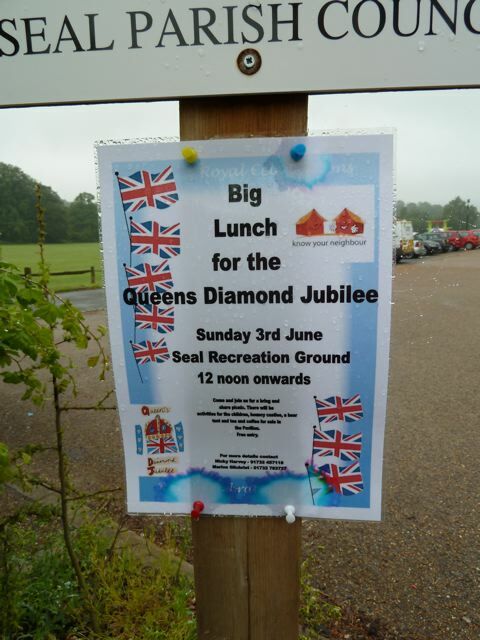 Plans are afoot to celebrate the Diamond Jubilee with a "Big Lunch" on the Rec on Sunday June 3. 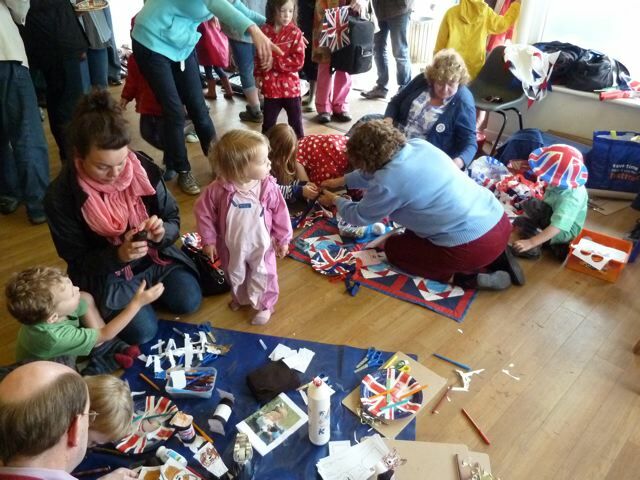 It will be "bring and share" like the Royal Wedding celebration last year, but we are hoping to have a beer tent on site and some children's activities. 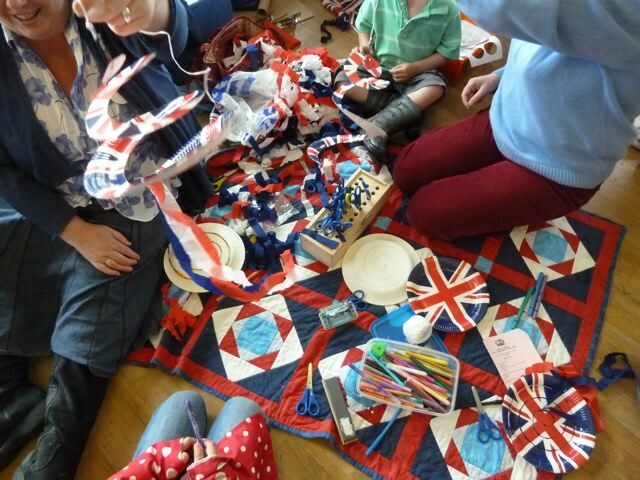 There is going to be a bunting making session in preparation, so watch out for the date! KYN will be part of the celebrations to mark the Olympic Torch coming through Seal too on July 20th, helping to organise refreshments and activities for visitors. 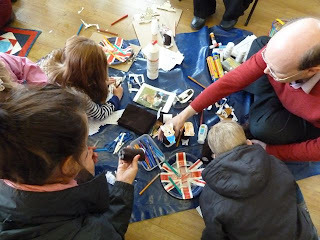 Plans are still being formulated at the moment in conjunction with the Parish Council and the local schools. We also talked last night about future plans. 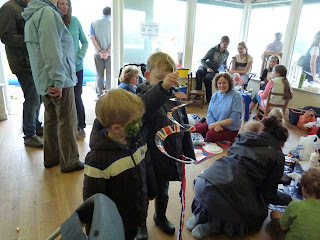 We decided not to have a fete this year, as there is a lot going on already, and we may change the format of the Christmas event, so that it takes place on a Saturday afternoon rather than an evening, since many people don't like coming out in the dark evenings. Let us know what you think. We are also thinking of having a (or some!) Saturday morning "drop in" Know Your Neighbours sessions, perhaps in the Village Hall, rather than weekday evening meetings, since these might be easier for people to get to. The full notes from the meeting are here. A belated Very Happy New Year . We will be meeting at Seal Church Hall on Thursday February 2nd at 8pm to discuss plans for KYN Events for 2012. Please do join us, and bring your bright ideas with you! There is a poster advertising this meeting here if you can display it anywhere to encourage others to come along, please feel free to print it off and use it (you can print it in black and white if you prefer. The Olympic Torch Relay is coming to Seal Village on Friday 20th July 2012. 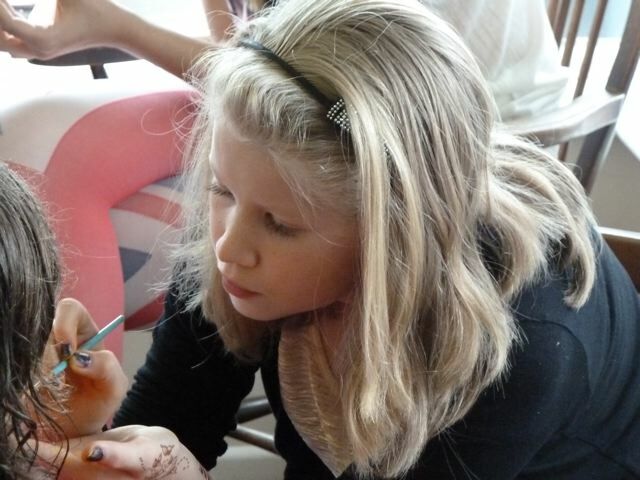 Seal Primary School took part in the Sevenoaks District launch on Monday 7th November and will play an important part on the 20th with other primary schools. We are hoping to involve the whole community in celebrating this occassion. If you or friends lived in Seal during 1948 and still live in the parish and remember the torch coming through Seal please contact us. If you have a field/carpark in or on the outskirts of Seal that could be used for visitor parking on the 20th July please contact us. 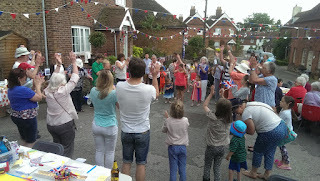 If you live on the High Street we will have a large number of visitors on that day. Therefore if you are in the early stages of planning hanging baskets, tubs for this summer, perhaps consider a couple extra. The village planting in our tubs will be red,white and blue. Planning is in the very early stages we will put updated information on our noticeboards and this website in the near future. You can visit the website below for info on the relay route. 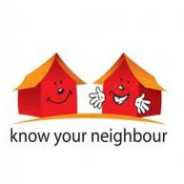 The Know Your Neighbours group will be involved as seems appropriate nearer the time, so watch this space.